Now, I understand that it’s fairly impractical for someone like me who’s not a professional makeup artist and doesn’t need to look completely flawless on a day to day basis (I work from home in sweats most days) but I’m very happy that I got my kit - it’s a fun and really effective tool to have in my arsenal. 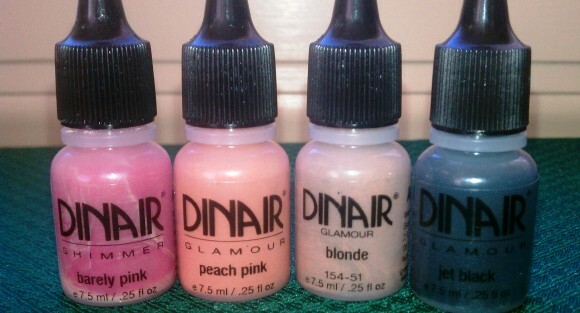 If you’re thinking about investing in an airbrush system, I recommend looking into the Dinair Personal/Pro kit, which costs approximately $206 if you pay in full. 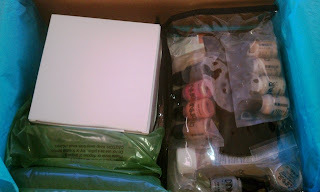 (They also have a monthly payment plan, which I think increases the price by approximately $55) The kit includes a compressor with variable speed control, 4 foundation shades in your chosen color range (Fair – alabaster, vanilla, olive beige, and light golden beige), a Moist & Dewey airbrush moisturizer, 4 bonus colors including a blush (peach pink), two brow colors (blonde and jet black) and a shimmer color (barely pink), a corrective concealer sample (alabaster), airbrush facial tanner, and a bottle of airbrush cleaner. 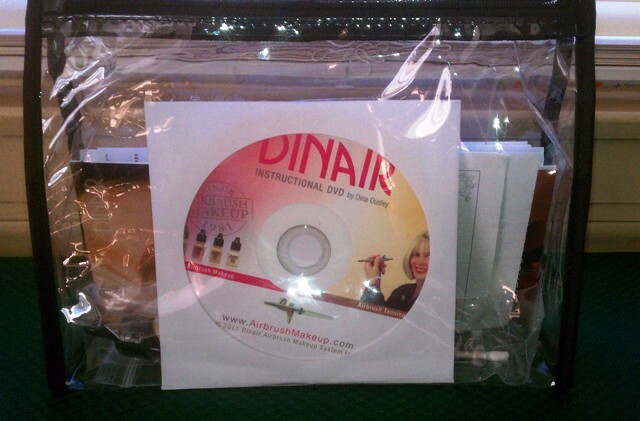 It also comes with an instructional DVD that makes using the system pretty easy, a complimentary personal lesson in using the system, and a $5 gift card for additional purchase from the Dinar website. 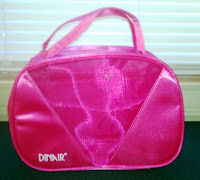 When I made my purchase, they were also running a special so I received a complimentary pink carrying case for the system as well. ﻿It took just over a week from the time I placed my order to when it arrived on my doorstep. 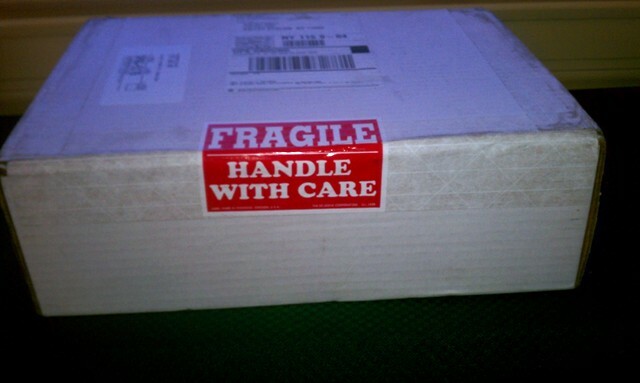 The box was clearly labeled as fragile and packed securely, so everything was in order when I opened it. 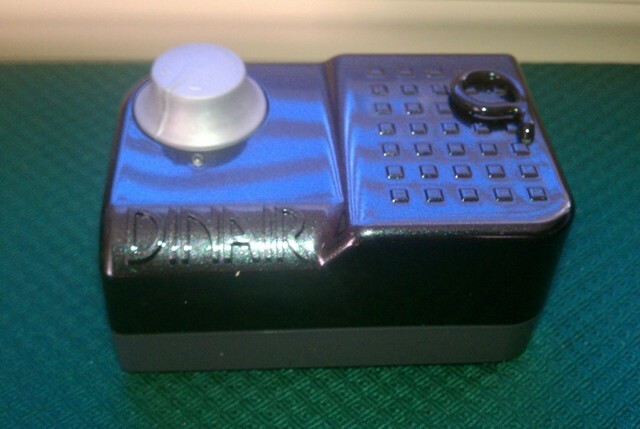 When you’re paying big bucks for something, you want to know that the company takes care when shipping it – Dinair certainly did. I’ve only used the system a few times, and while I definitely haven’t perfected my technique yet, I was able to get pretty good results after watching the DVD. 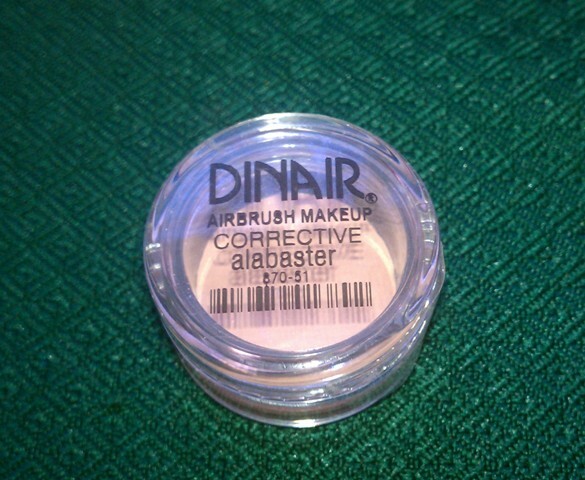 The Dinair airbrush foundation is water-based and has a matte finish, so I was concerned about it looking patchy and rough in areas where my skin is drier. 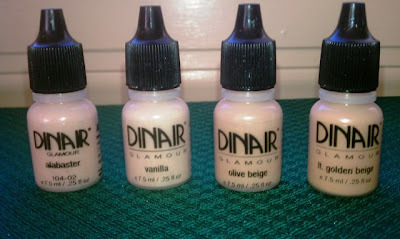 But I followed the suggestion in the DVD to add a drop of the Moist & Dewey moisturizer in with six drops of the foundation – as I expected, my best match was the lightest shade, alabaster – and the final result was a really natural, semi-matte finish. The amazing thing about the foundation is that it truly doesn’t look or feel like you’re wearing makeup. My skin looked flawless but even up close, you’d think I was just lucky enough to be born that way. It’s definitely the best results I’ve ever gotten with any type of foundation. 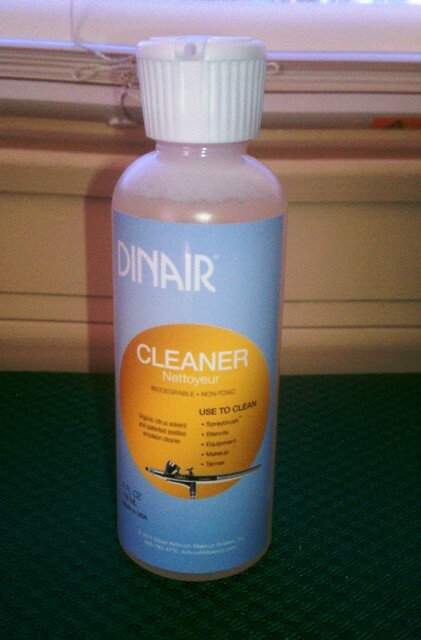 That said, the process of airbrushing your face is fairly time consuming. Maybe it’ll speed up as I get better at using the system, but right now, I can’t see myself taking ten minutes just to put on foundation when I’m only running out to grab a sandwich with a friend or going shopping. 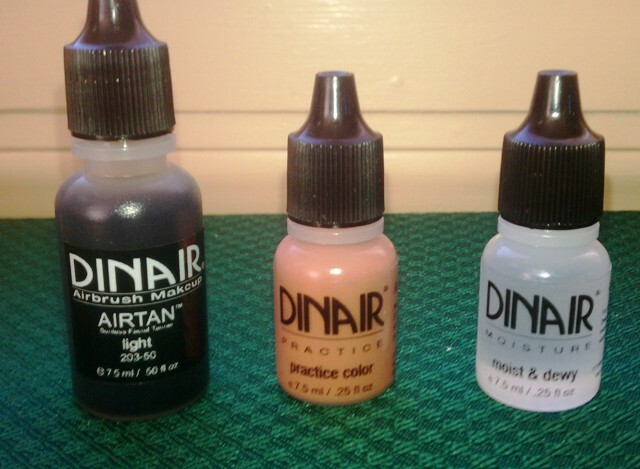 However, for weddings, parties, and other special occasions, I’ll definitely use my airbrush kit for an absolutely flawless but natural look. I certainly don’t suggest that everyone run out and buy the Dinair kit – it’s a lot of money if you don’t plan to use it regularly. But if you’re already thinking about investing in an airbrush system, I would recommend checking out the kits on the Dinair website. The Personal/Pro kit does everything that a nonprofessional like me would need it to and comes with plenty of fun extras. I plan to purchase a larger size of my foundation shade and maybe a few other blushes (I don’t think I’m brave enough to try airbrushing my eye shadow or liner just yet) in the near future. I think it’ll be fun to play around with the kit and see if I can get any faster with my application.